As we get closer to summer and local produce begins to arrive more steadily to Veraisons, Chefs Rodriguez and Hassler have set out on a mission to highlight the many wonderful farms who provide delicious and unique ingredients for their menus year in and year out. They work closely with more than a dozen farms and always pack their menus with local produce, meats and cheeses, typically called out on the menu by their farm name, however this season they’d like to let diners know a little bit more about the farms that make these menus possible. To do so, they put their heads together and came up with a new method for daily dinner specials. Each evening or as ingredients are available, dinner specials will feature ingredients from a specific farm, as well as details about that farm. 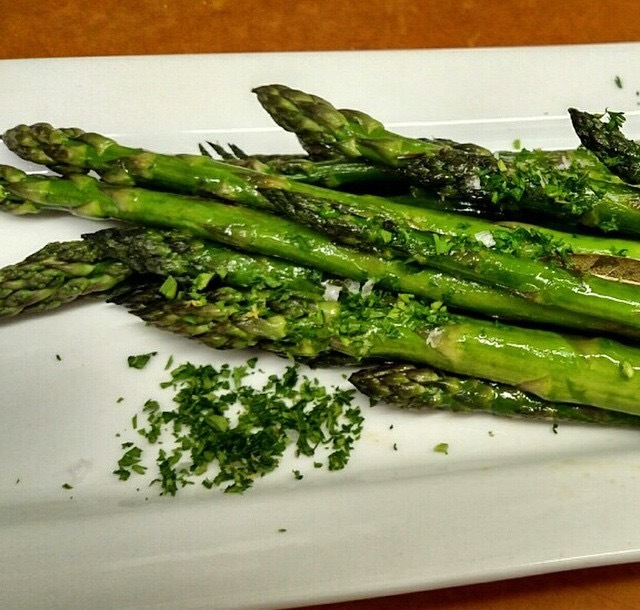 Last week marked the first “Featured Farm” special menu and Lucky Dog Farm of Bradford, NY was in the spotlight, specifically their asparagus, which was the first to arrive at Veraisons’ backdoor this year. From late March to November, they also provide a steady supply of salad greens. This week the focus shifts to Evergreen Farm in Rock Stream, NY, just down the road. As you might guess as its still early in the season, rhubarb is the focus of the special menu this week and it isn’t just limited to food. A new cocktail, the Rhubarb Cosmo, features Finger Lakes Distilling Vintner’s Vodka, house-made rhubarb simple syrup and a splash of Cointreau and lime juice. 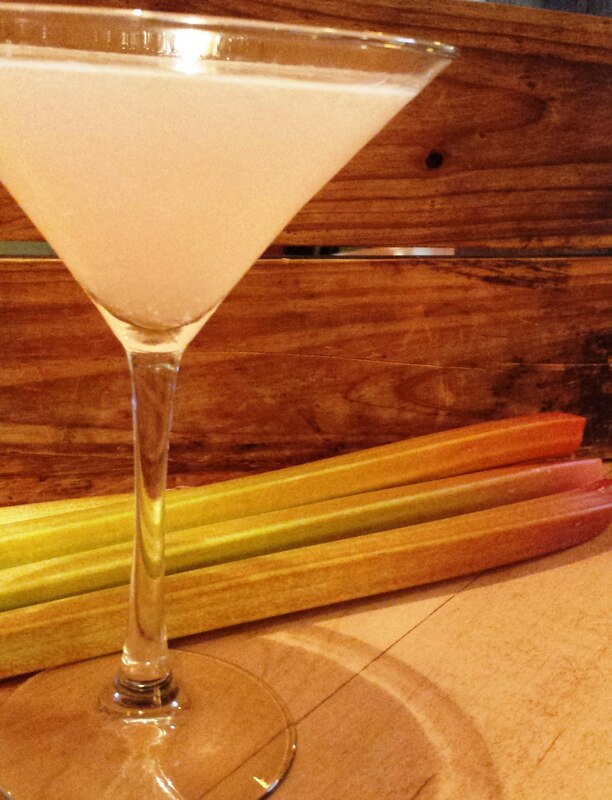 Thanks to rhubarb’s influx in early spring and the efforts of our chefs, this cocktail will be available all summer long and even into the fall. Evergreen Farm also provides a variety of ingredients during peak season like Romaine lettuce, baby carrots, heirloom tomatoes, and much more.